Matchup planning is difficult early in the season. The season has just begun and the small sample size makes it difficult to determine who is truly struggling and who is having a bad week. The best example would be the Red Sox rotation. Are they really one of the worst pitching staffs in the league? Or are they just suffering a bad World Series hangover? Whatever the case might be, try don’t put too much stock into early season ratios. Look at underlying stats to make sure the regression police don’t come back haunt you. The Dodgers have one of the easiest schedules in the league next week. With Cody Bellinger hitting like a man possessed, Los Angeles is currently the second-best offense in the league. Their first matchup is at home against the Reds, who outside of Luis Castillo, has a very exploitable rotation. Sonny Gray, Anthony DeSclafani, and Tanner Roark are struggling with their control (all > 3.86 BB/9) and have had home runs problems in the past. The Dodgers then get a four-game series against the Milwaukee Brewers, who have produced some of the highest scoring games this season. The pitching staff has given up the seventh most runs thus far, which should continue next week. 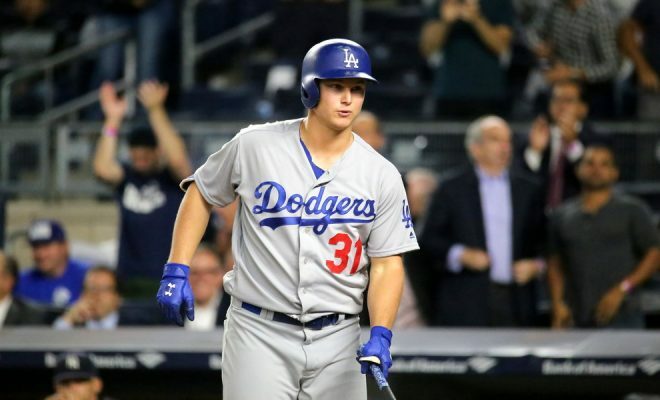 All the usual suspects should have an excellent week, but lesser-owned players like Austin Barnes, Joc Pederson, and Enrique Hernandez should have an excellent week ahead. The Oakland offense has been good this season, clubbing the sixth most home runs and driving in the fourth most RBI through the first two weeks of the season. However, their hot start could cool off quickly thanks to their matchups next week. In addition to playing just five games, Oakland will have to deal with two of the best performing pitching staffs in the majors. First, they’ll play the Astros in a mini two-game series at home. Houston is “only” the eighth best rotation at the moment but still present problems for any offense. The A’s will then take on the Blue Jays in a three-game series at home to end the week. As of Wednesday night, the Jays pitching staff is the second best in the league, carrying a 2.77 ERA and 2.93 FIP. Eventually, they will regress, but for now, owners need to be careful blindly starting players against a hot pitching staff. No one is really suggesting you bench Khris Davis unless you’re feeling particularly bold. Matt Chapman, Stephen Piscotty, and Marcus Semien are on the line where I wouldn’t be opposed to benching them this week. The Rays have been a middle of the road offense so far, ranking right around league average in RBI, runs and average. This week, have the chance to pick things up against two struggling rotations. The obvious fade here is that Tampa Bay gets three games against the horrid Orioles. Baltimore’s team ERA sits at 6.12 while their K-BB% is second worst in the league at 6.8 percent. Any games against Baltimore puts players into must-start territory. Last season, a series against the Red Sox was not a good sign. 14 days into 2019, the Boston pitching staff holds a 6.35 ERA and a 21.1% strikeout rate, just 21st in the league. Until Sale and the rest of the Red Sox rotation can piece it together, owners shouldn’t be afraid to stream against them. Austin Meadows is scorching hot right now. Brandon Lowe, Kevin Kiermaier, Yandy Diaz, and a suddenly competent looking Willy Adames are all solid streamers next week. It doesn’t matter that the Reds were on the list last week, they’re still bad and have more tough matchups next week. The Dodgers are the first opponent for Cinncinati, who will travel to LA for a three-game series. The Dodgers’ rotation hasn’t blown anyone out of the water yet, but they are a talented rotation pitching in a pitcher’s park. Surprisingly, the Padres rotation HAS blown people out of the water. They are the fifth-ranked rotation overall, having success by limiting walks and home runs allowed. And four games in Petco Park never helped anyone. Everyone you avoided last week, should be avoided this week. Everyone but Joey Votto and Eugenio Suarez should be used with caution until they start hitting. We’re going DEEP with this platoon target. Garcia has two things working for him this week. First, he starts his week with a series against the Royals. Second, the White Sox are scheduled to face five consecutive right-handed pitchers to start the week. Chicago’s leadoff hitter is a switch-hitter, batting .323 against right-handers this season. Garcia won’t provide any power, but hitting at the top of the lineup against Kansas City will give him plenty of opportunities to score next week. 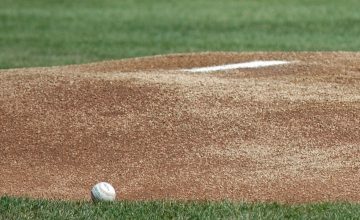 Owners looking for a boost in runs, steals, and average should take a flier on the 4 percent (in Yahoo!) owned outfielder.